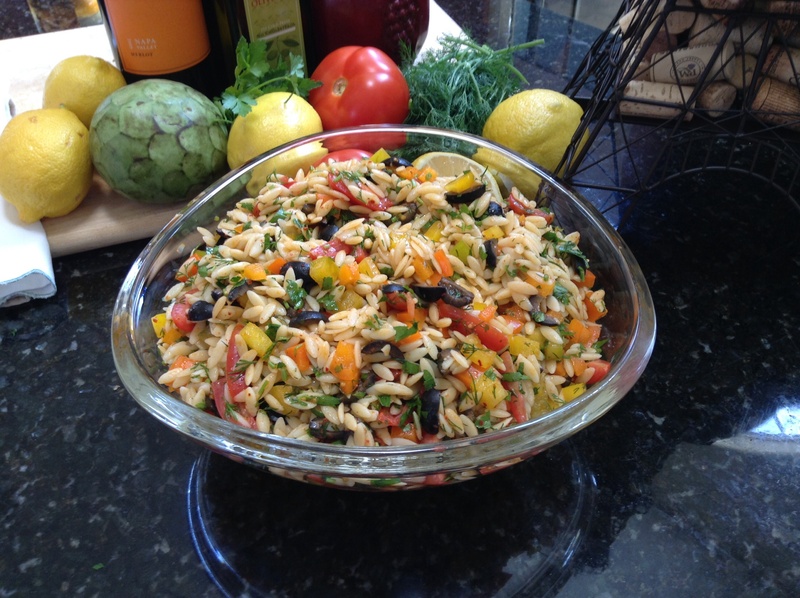 Here’s our recipe for the most zesty and flavorful orzo salad. Cook the orzo following the directions on your package. Drain the cooked orzo and run through cold water. Make vinaigrette by combining the lemon juice and olive oil. Whisk them together, add salt and Aleppo pepper (if you can’t find Aleppo pepper, you can substitute for your favorite flaky red pepper or simply leave it out). Chop parsley and dill. Cut peppers, cherry tomatoes and black pitted olives (Cut them in quarters). Now add all the ingredients into a large bowl. Add vinaigrette, mix it all together and enjoy! Next Happy Saint Patrick’s Day!